The pack seen here was printed in 1972, in a limited edition of 750. Mamluk seven of coins, scimitars, tuman/ cups, and polo sticks. Modern poker card for size. As playing cards represent an ancient and efficient industry, scholars of early industrial times were naturally inclined to suggest that the origins of playing cards could be found within their own lands. As in any science, evidence accumulated, and resulted in new theories. Charles Poupart, treasurer to Charles VI, of France, in 1392 records Jacquemin Grigonneur was paid 56 “sols Parisis” for three illuminated packs “for the king’s amusement.” Some early scholars interpreted that Grigonneur was ordered to invent playing cards. As more documents surfaced, it became clear that playing cards are not of French origin. In central Italy, The Chronicles of Viterbo record “nayb” being introduced by a saracen in 1379. This record is still important, as it is believed to describe typical introduction to Italy at the time. Many other theories surfaced, including Templars and Romans. Insufficient evidence is always a factor, even without the disposable nature of the artifacts. As more fragment and document evidence became available to western scholars, oriental origins became more apparent, but sources are rare and scattered. In 1781 Antoine Court de Gébelin wrote Le Monde Primitif, which included his earlier thoughts on playing cards origins. With primitive notions of image analysis and etymology, he speculated that the tarot was a fragmentary Book of Thoth, a mystical ancient text brought out of Egypt and ultimately into Europe by Gypsies. Popularity of the book (published a few years after written) inspired occultist Jean-Baptiste Alliette (who went by Etteilla for the oriental appeal) to publish Manière de se récréer avec le jeu de cartes nommées Tarots (“How to Entertain Yourself With the Deck of Cards Called Tarot”) in 1785. A resulting esoteric movement captivated much of the nineteenth century Western world. The esoteric movement flourished, even with far eastern (China, possibly Korea) origin theories solidifying with scholars. . In 1939 L.A. Mayer wrote a treatise on two partial packs. 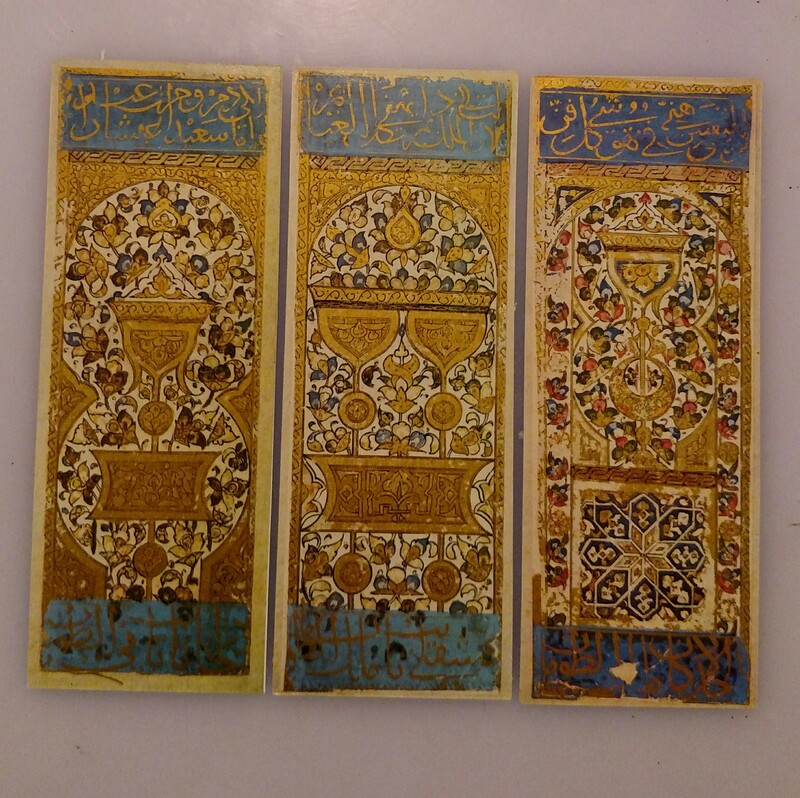 Found in the Topkapi museum, they were probably made in Egypt under Mamluk rule during the fifteenth century. 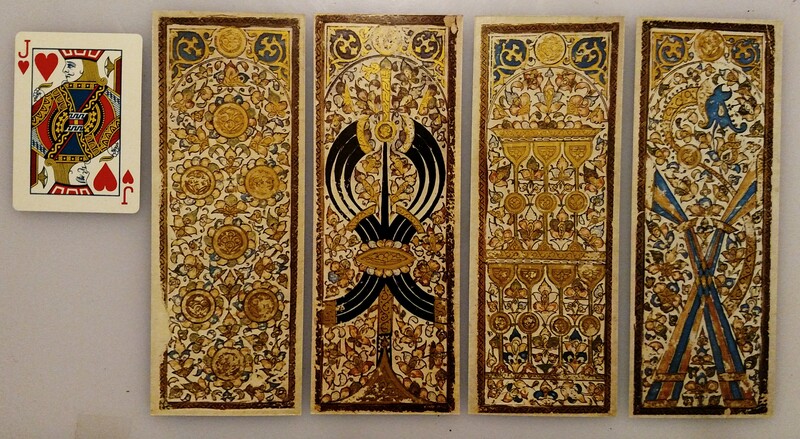 These large, long, heavily embellished cards bear a strong resemblance to Italian illuminated tarot of contemporary times, suggesting cards such as these inspired Europeans to produce their own. The treatise had some other ideas, such as jokers, “helpers,” and four courts that are not as strongly supported by scholars. Skeptics argued that they were not old enough to confirm a parent pack, but could have been influenced by Italian tarot instead. 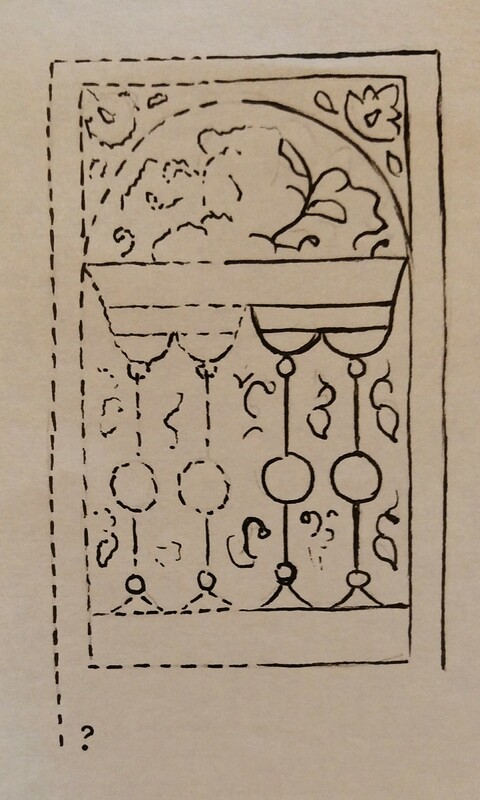 In 1970 an Islamic art collector came across a card fragment, thought to be about half of a Mamluk four of cups. Analysis of the details in the decoration of the fragment date it to late 12th century, or possibly early 13th century. This predates any evidence of any cards in Europe, regardless of pack construction. 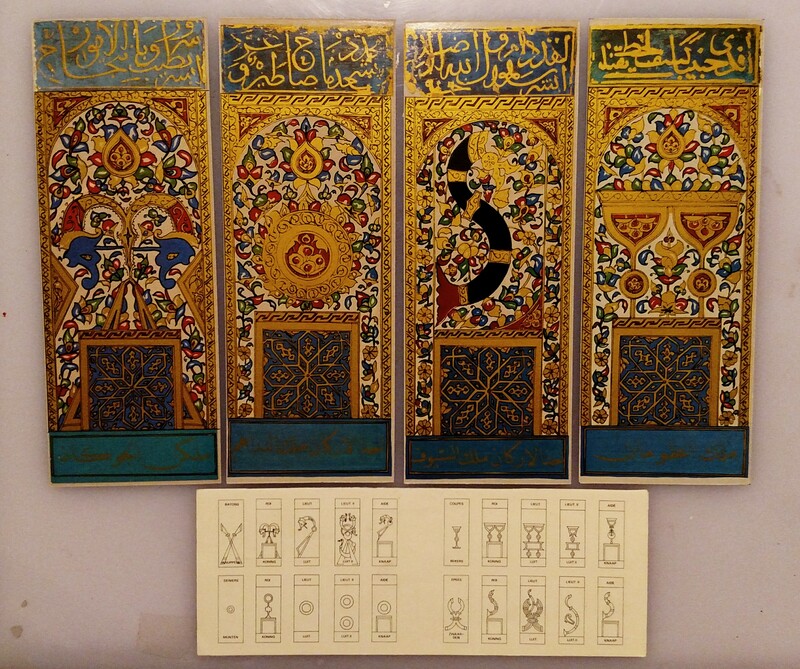 Mamluk introduction is therefore believed to be how playing cards were introduced to Europe. Although details are lost to determine who acquired them first, Spain and Italy are most likely. The Caliphate had presence in southern Spain up until the end of the fifteenth century, while Italian nobles hired out saracen troops. In prints or documents, each country shows ample evidence for early introductions, although scholars are more conservative with their claims than they were in the past.